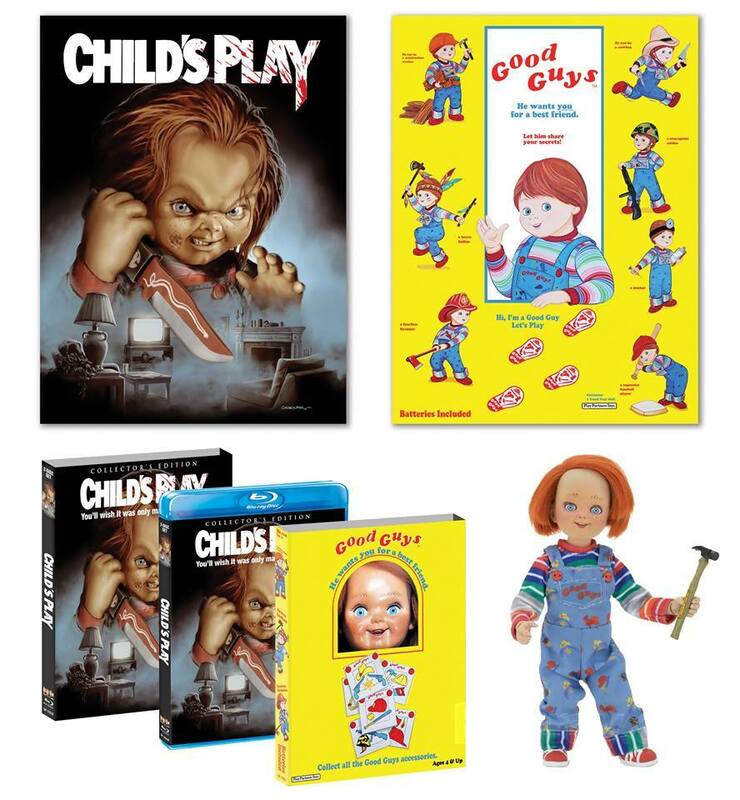 A new collector’s edition Child’s Play Blu-Ray will be coming out on October 18, 2016 from Scream Factory. The only new features are a 2K scan and an audio commentary with director Tom Holland. That could even be the same commentary that was done by a fan-website many years ago. (Back for the first collector’s edition, Tom Holland wasn’t asked to do a commentary for some reason). Exclusive to ShoutFactory.com, if you buy from them, you’ll get a slipcase cover, poster and artwork. There’s also a Deluxe edition which features a 5.5″ Good Guys Doll. Receive a second custom-made “Good Guys” slipcover—made exclusively for this promotion. Receive an exclusive, limited edition 5.5″ tall “Good Guys” Chucky” doll created by NECA and housed in a “Good Guys” box. This article was posted July 23, 2016 at 6:54 am.